Today's New MAN To Burn One To is Scott H. Biram. The reason for this is because Mr. Biram is a one man wrecking crew. This is a bit of a departure from the normal heavy rock and roll. It's not wuss rock either. I wouldn't recommend Gin Blossoms or Goo Goo Dolls to you, this is not either. Rock ‘n’ Roll ain’t pretty and neither is Scott H. Biram. The self proclaimed ‘Dirty Old One Man Band’ successfully, and sometimes violently, lashes together blues, hillbilly and country precariously to raucous punk and godless metal. Years of non-stop touring have honed his assault to a fine edge; his wide-eyed throw downs in the First Church of Ultimate Fanaticism routinely lead giddy followers to a fiery baptism. Scott H. Biram won’t die. On May 11th, 2003, one month after being hit head-on by an 18-wheeler at 75 MPH, he took the stage at The Continental Club in Austin, TX in a wheel chair – I.V. still dangling from his arm. With 2 broken legs, a broken foot, a broken arm and 1 foot less of his lower intestine, Biram unleashed his trademark musical wrath. 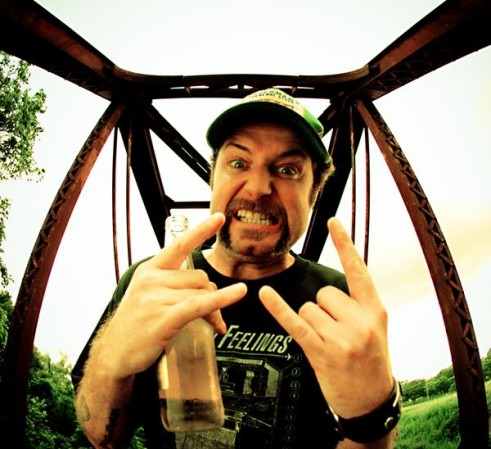 When Scott H. Biram took the stage at his 2004 SXSW festival showcase right after Kris Kristofferson he was quoted as growling “They said that was a hard act to follow….I’m a hard act to follow motherfuckers! !” The stunned crowd looked on. His style is southern delta blues, punk and rock. There's a lot of country influences too but all old school, no Toby Keith or Brad Paisley here. His sound is similar to Black Diamond Heavies and Chili Cold Blood and even Velcro Lewis. Clutch has even been somewhat influenced by him. His 2005 album The Dirty Old One Man Band has a song called "Someday Baby" that contains a few lines that are quoted in Clutch's song "Electric Worry." To date he has 7 albums released (one album was released on 2 different labels). Most can be purchased straight through his website. You can even buy the whole discography for a discount. Go on now, you know you want to.